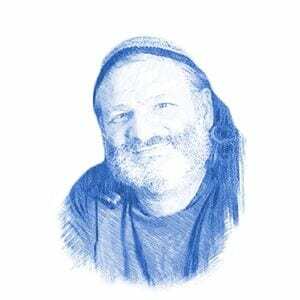 In a powerful letter, exclusively obtained by Breaking Israel News, the nascent Sanhedrin recently blasted the ongoing efforts of the United Nations Educational, Scientific and Cultural Organization (UNESCO) to give Muslims complete sovereignty of the Temple Mount, prompting a response from the UN body which claims it recognizes the Jewish connection to the Mount but, unsurprisingly, offers very little proof. The Sanhedrin’s letter, sent to UNESCO Director-General Irina Bokova on August 12, came as a response to a string of recent attempts by the organization to erase any Jewish claim to its holiest site. In June, UNESCO adopted a resolution that required the Temple Mount be referred to in all official documents as Al Aqsa, the silver-domed mosque on the site. One month later, UNESCO’s World Heritage Committee met in Istanbul to vote on another resolution, based on a joint Palestinian-Jordanian initiative, calling for a return to the “historic status quo” which existed before the 1967 war. This would effectively ban Jews and other non-Muslims from setting foot in the Temple Mount complex. If the intention was not clear enough, the initiative referred to Israel as the “occupying power”. In what seemed a divinely decreed coincidence, UNESCO was forced to postpone the vote due to the attempted coup in Turkey. A new vote is expected to take place in October. In its recent letter to Bokova, the Sanhedrin called for UNESCO to put an end to its efforts to establish Muslim exclusivity on the Temple Mount. Breaking Israel News was shown the letters by the Sanhedrin and is exclusively reporting the exchange between the Sanhedrin and UNESCO. The Sanhedrin went on to cite the incontrovertible archaeological evidence of the Jewish claims to the Temple Mount and Israel, and point out the absolute lack of any such proof for Muslim claims to the site predating the Muslim conquest of Jerusalem in 636 CE. The letter also called for a neutral international committee of scientists and archaeologists to establish the facts, and demanded that Jewish sovereignty be re-established on the Mount. The letter reiterated a claim the Sanhedrin has made in the past linking the rise in terror to UNESCO’s actions separating Jews from the Temple Mount. The letter was signed by Rabbi Dov Stein, Secretary of the Sanhedrin, Rabbi Prof. Hillel Weiss, and Rabbi Yishai Babad, spokesmen for the Sanhedrin. On August 24, Francesco Bandarin, the UNESCO Assistant Director-General for Culture, responded on behalf of Bokova with a letter to the Sanhedrin. 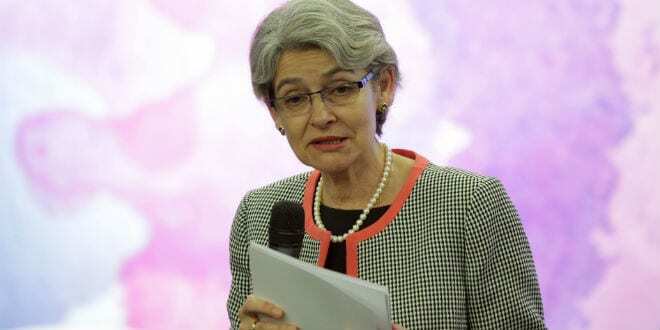 After noting that UNESCO member states, and not Bokova, take part in the votes, he quoted her July statement insisting that UNESCO is not denying Jewish, Christian or Muslim traditions at the Mount. However, Mr. Bandarin made no reference to any of the multiple UNESCO initiatives that declaim Jewish ties to the site, or the impending vote to grant Muslim exclusivity to the site. Instead, he ignored that point entirely and focused on the list of UNESCO World Heritage Sites in Israel, which he wrote “attest[s] to our commitment to Jewish culture.” However, few of the listed sites have anything to do with Judaism, or even the Bible. 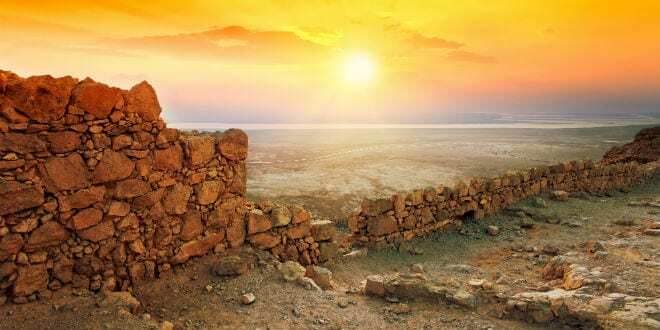 Among the nine sites on that list are Masada, where Jews committed mass suicide in order to avoid Roman capture, and the Necropolis of Bet She’Arim, an ancient Jewish cemetery. A collection of architectural landmarks in Tel Aviv notable for incorporating the Bauhaus style from pre-war Germany is on the list. Two sites holy to the Bahai religion and several other sites of archaeological and anthropological note also made the cut. In another weak attempt to prove UNESCO’s “commitment to Jewish culture”, Bandarin cited a joint UNESCO/Simon Weisenthal Center exhibition, “People, Book, Land: the 3,500 Year Relationship of the Jewish People with the Holy Land”. UNESCO had delayed the exhibit’s Paris debut by six months in deference to Arab concerns, citing “unresolved issues relating to potentially contestable textual and visual historical points, which might be perceived by Member States as endangering the peace process.” The exhibit did eventually open in March, after the venue was changed to the UN’s New York City headquarters.